The Polk Audio VS 80 F/X-RT make your favorite film soundtracks materialize with the crack of gunfire from behind, or the patter of footsteps across the room. Not only do the Polk Audio 80F/X-RT surround speakers fill your home theater with vibrant sound effects, they virtually vanish into the ceiling. 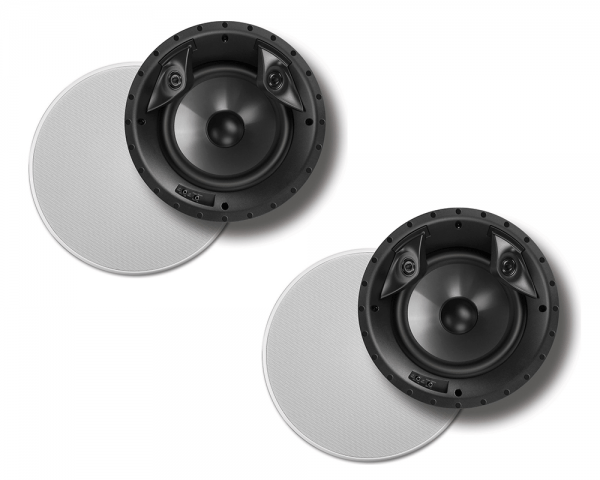 These stealthy speakers are designed specifically to produce an enveloping rear soundstage, each one equipped with dual 3/4″ silk/polymer tweeters and an 8″ woofer. High-quality construction keeps the drivers in rigid alignment, and practically eliminates muddying resonance. These speakers are voice-matched to Polk’s renowned RTi series of free-standing speakers, as well as the rest of the in-wall and in-ceiling RT Vanishing series.